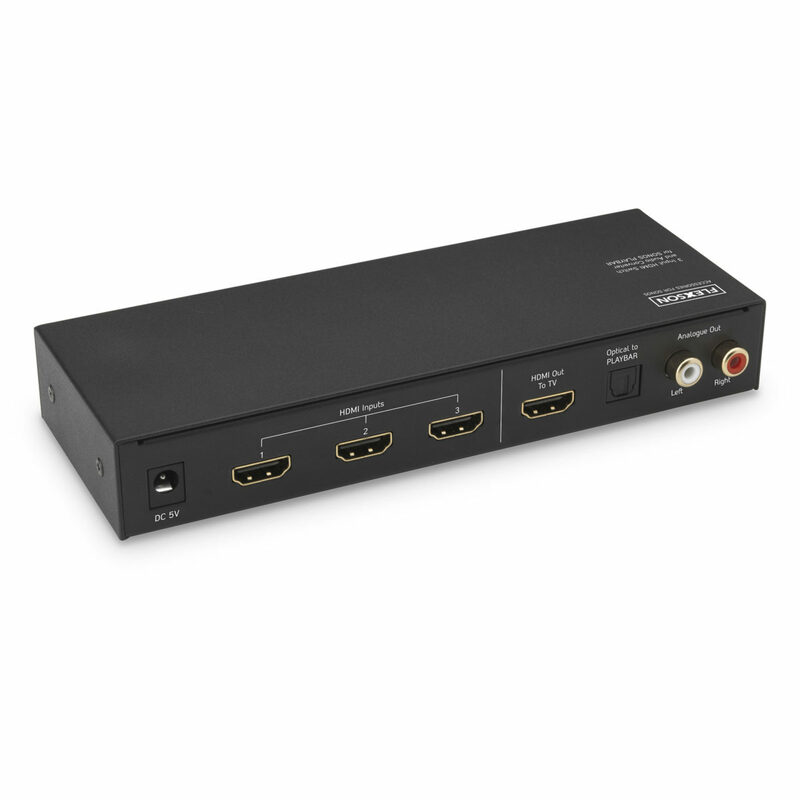 The Flexson 3-Input HDMI Switch and Audio Converter allows you to easily connect up to three HDMI-connected devices – such as a set-top box, Blu-ray/DVD player and games console – to your TV and SONOS PLAYBAR / PLAYBASE. Video –including 1080p, 3D and 4K – is perfectly passed through a single connection to your TV, while audio (up to 5.1 Dolby Digital) is outputted to the SONOS PLAYBAR’s / PLAYBASE optical audio input. Set up is simple, switching between sources is automatic, and a remote control is included. 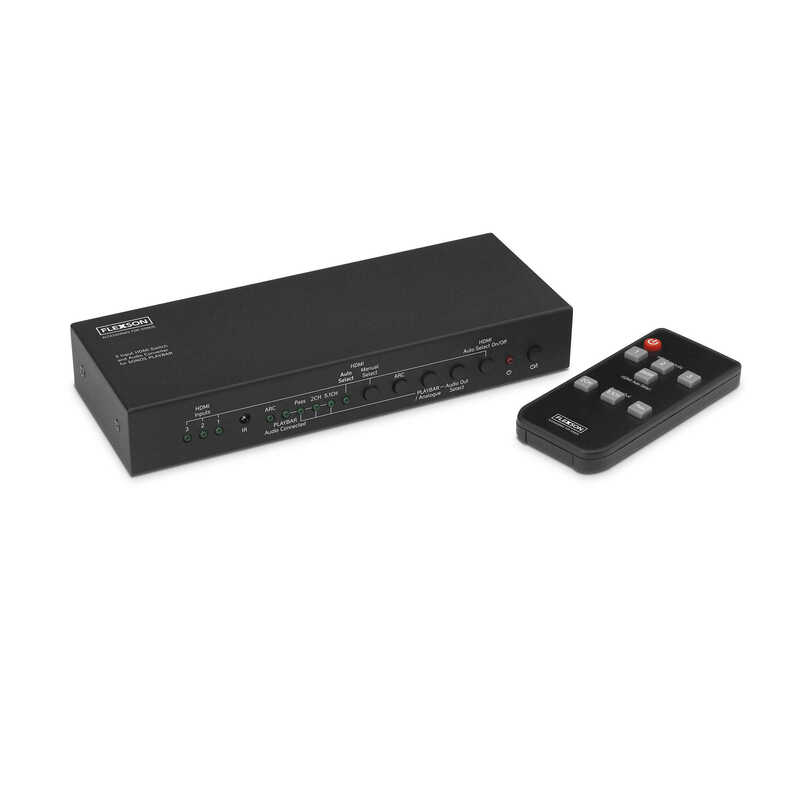 This Converter is just one of Flexson’s range of solutions for the SONOS PLAYBAR / PLAYBASE, which includes an Analogue to Digital Converter, Digital Coaxial to Optical Converter, TV Stand, Extension Power Cables and 3 different wall-mount solutions. Just one of Flexson’s range of solutions for the SONOS PLAYBAR / PLAYBASE, which includes an HDMI Converter, Digital Coaxial to Optical Converter, TV Stand, Extension Power Cables and 3 different wall-mount solutions.